Edible Oil Refinery Plant that we provide is extensively used for refining the crude oil in order to make it pure and edible. Our Edible Oil Refinery Plant is especially designed for providing minimum operation costs and maximum output results. Edible Oil Refinery Plant is appreciated for its sturdy construction, low maintenance and high functionality. Our refinery can refine almost all types of oils but the quality of the refined oil will depend upon the type of crude oil and its chemical structure. Vegetable oil is properly refined for complete removal of waxes, gums (phosphatides) and free fatty acid. After refining, the oil is filtered from various impurities, odor and viscous pigments, thus gets a uniform color. 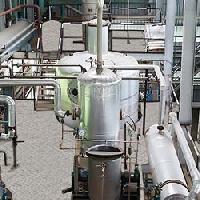 In the plant, there can be batch refining or continuous refining as per the requirement of the applications. 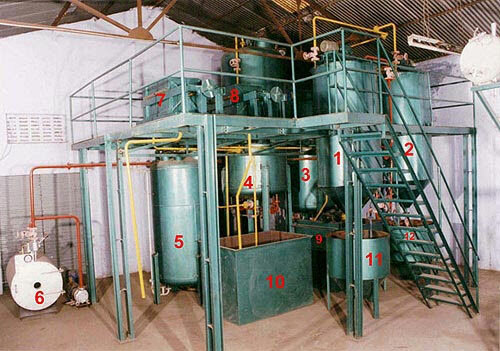 Incorporated with latest technology, the vegetable oil refining plant is specially designed with different processes, all integrated in a single compact unit. The plant is assembled with a bleacher, neutralizer, heat exchanger, and deodorizer, filters and high & low vacuum equipments. We are the forerunner in the industry for introducing advanced distillative deacidification technique (physical refining) in the vegetable oil refining. This is an innovative technique introduced that has the capability to totally eliminate the caustic treatment with all its attendant disadvantages. We also hold expertise in manufacturing pressure leaf filtration system that is specially engineered for flow rates.